The Barbados Under 15 boys team during a practice session. 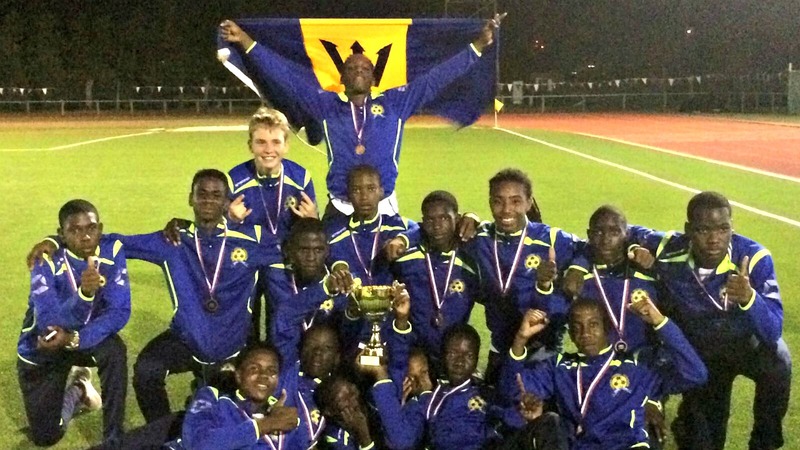 The Barbados under 15 boys’ football squad got off to a positive start in the CONCACAF U15 Championships. 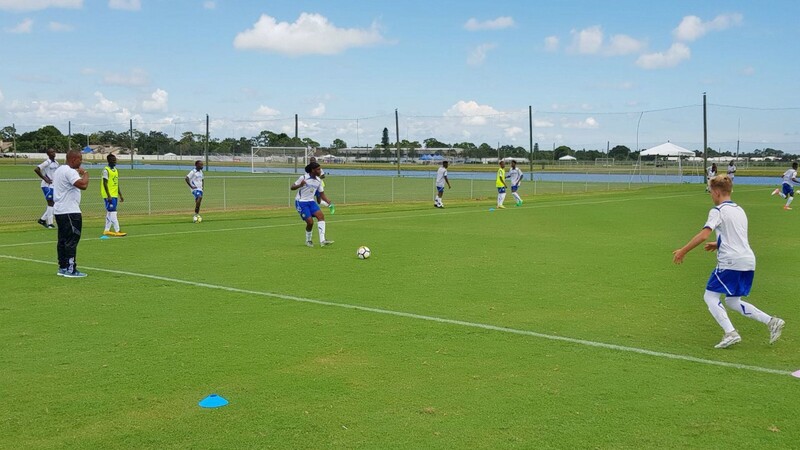 Playing at the IMG Academy in Bradenton, Florida, the Young Tridents scored two second half goals to ease by Guadeloupe 2-0 in Group E action. Substitute Nazario Adamson, showed good awareness around the penalty area to pick out school mate Abiola Grant, whose left footed shot from the left side of the penalty box, found its way inside the far post. Barbados’ second goal came minutes later when Adamson and fellow substitute Ethan Bryan combined. Adamson, full of pace and aggression, went by his marker on the left and played an inch perfect pass into Bryan who was unmarked at the back post and after two block shots from close range, he put away his third into the bottom right-hand corner. Barbados starting XI: Ishawn Babb; Nathan Skeete, Lemar Caitlin, Shaquanie Phillips, Andre Applewaite; Jahmali Hutson (Ethan Bryan), Jaylan Gilkes (Hashim Brewster), Thierry Gale (Devonte Richards), Rashon Gittens (captain); Kyle Lewis (Nazario Adamson), Abiola Grant.